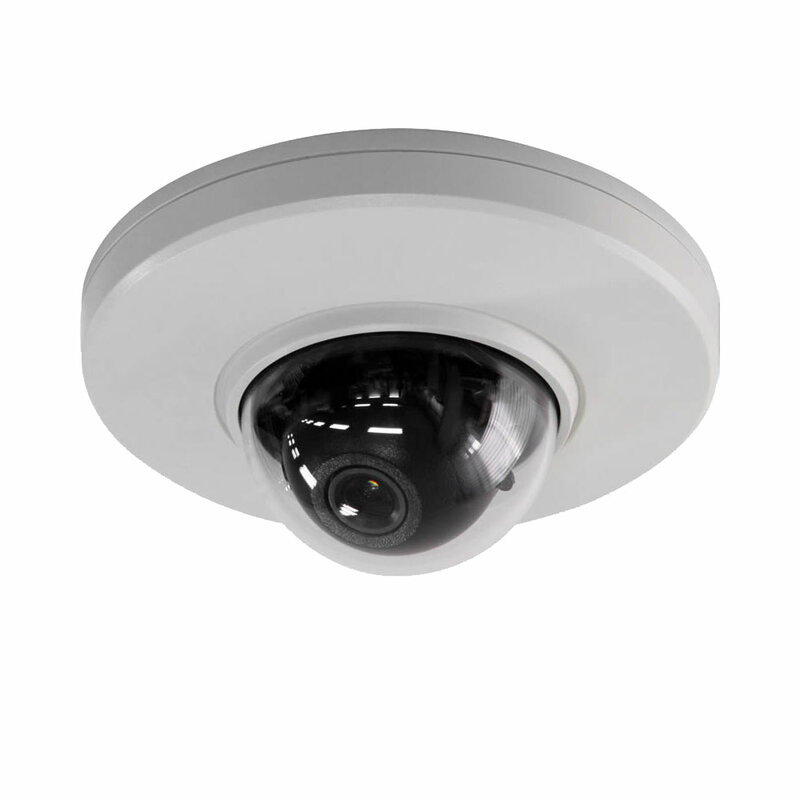 Part of the Vista’s VK2 range of IP products, the VK2-1080MD37W is a Wi-Fi Mini Dome that provides full HD resolution recording, ideal for evidential purposes. The Wi-Fi capabilities makes it suitable for use with Wi-Fi networks which does not require any cabling between camera and recorder. A Micro SD card can also be used for local edge recording. Triple streaming technology allows one stream for recording at full resolution, one for local viewing and a lowresolution stream for remote viewing. In addition to Wi-Fi operation the dome can also be hard wired to an IP network and can be powered using PoE (Power over Ethernet) switches.. The dome integrates with the complete range of VK2 control and recording packages, as well as many third party VMS solutions. In addition, the camera complies to ONVIF standards, meaning that any software designed to this specification will be able to view and record the video from the cameras. Frame Rate 30fps @ H.264 1080p & 720p (PAL). Protocols IPv4/IPv6, Manual, TCP/IP,UDP,HTTP,RTP,RTSP,NTP,DHCP,SMTP, DDNS, HTTPS,RTCP,FTP,Zeroconfig, Bonjour. Ingress Protection Indoor use only.